Almost 31 October, a few days left to prepare yourself for Halloween and lay your hands on some special glasses! The free monocle can be found in the group notices of Crie Style. 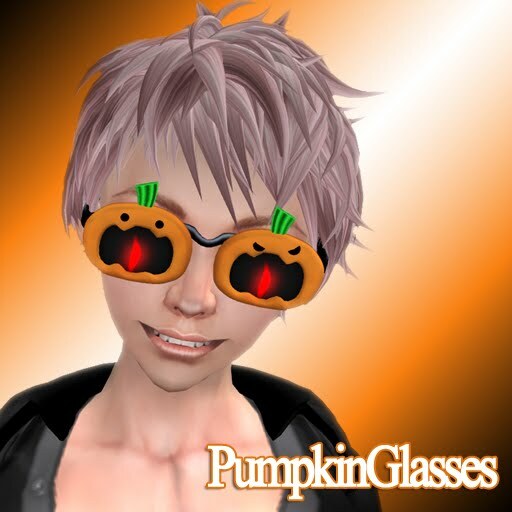 Kumaki Glasses Style (K_gs) has a funny Happy Halloween mask, you can pick it up in the main store, also you can find some Pumpkin Glasses there. And by just crossing the street, you will enter NALA. 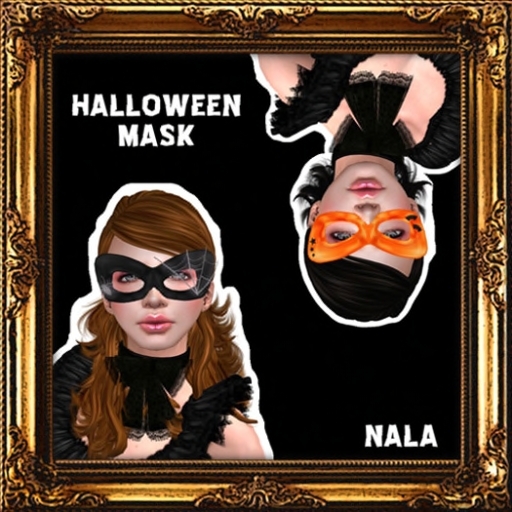 At the luckyboard you will find these Halloween Masks. Try your luck! For the picture, I choose the AIR_Abeille_II glasses. Not made especially for Halloween, but matching the theme perfect with the colors and insect.